Here you can find information about coach suggestions through TRU. In alphabetical order by last name. If contact info isn't provided, try Googling them. If our info is outdated, let us know! has over thirty years of theater experience. He works with actors on character development, audition preparation, and the ongoing pursuit of artistic growth. He is the creator of A Simple Path To a Vivid Performance™, a process that looks at auditions from the point of view of both actor and casting director. It includes six simple steps which are designed to help ensure that you are truly representing your full potential when auditioning with monologues. He collaborates with actors to develop an audition performance that will fully utilize their talents and strengths in a carefully crafted marketing presentation. Among Richard’s many acting credits on both the east and west coasts are Edna Turnblad in Hairspray, Bob in Beyond Therapy, Guiteau in Assassins, and Rick Steadman in The Nerd. He has also appeared in several original musicals, including Girl Gang at NYMF and Christmas Interruptus at the John Houseman Studio Theatre. 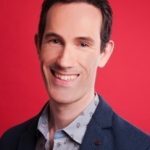 He has directed numerous productions; recent credits include In the Wilderness at the Planet Connections Festivity and the award-winning musical Bad Christmas Sweater at The Players Theatre Short Play and Musical Festival. Richard has studied with William Esper (acting), Martin Waldron (voice and speech), Loyd Williamson (movement for the actor), Pierre Lefèvre (mask technique), and is a graduate of the Mason Gross School of the Arts at Rutgers University. He is a member of the American Society for Training & Development. Email: RichPButler@gmail.com or call 917-202-4865.
has a mission as an acting coach to provide affordable and professional training to actors of all backgrounds. 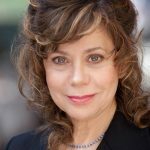 A professional actress, director and producer and alumna from NYU's Tisch School of the Arts, Sonya synthesizes a wide variety of time-tested and powerful techniques, such as: Meisner, Neoclassical, Donnellan, Alexander, and Williamson in order to create a tailor-made program for the student. Please visit her website,www.sonyacooke.com, to read more about her pay-as-you-go services. is the founder of the John DeSotelle Studio and is the Artistic Director of the Nu•ance Theatre. He has been acting, directing and teaching in the theater for more than 20 years. 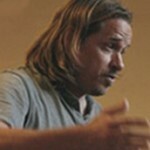 John taught the Meisner technique at the University of the Arts in Philadelphia, has instructed American Idol finalists, developed a number of acting workshops for adults, teens and children and has been coaching actors in New York and California since 2001. He holds an MFA in Acting from Mason Gross School of the Arts at Rutgers University under the tutelage of William Esper, Maggie Flannigan, Lloyd Williamson and Lenard Petit. As a coach, John draws on a compilation of methodologies, artistry and an innate understanding of each actor’s process. His approach is as a collaborator, working in partnership with each actor – first to understand the script and character psychology, then to develop layers of emotional truths, objectives, behavior and human reactions to effect the most authentic and personal performance from each and every actor he works with. teaches vocal production with a discerning, positive and caring approach tailored to the need of each individual. She is a specialist in "Breathing Coordination" as put forth by Carl Stough. Shira was born into an illustrious family of professional singers. As a singer/actress she has appeared on the stages of the Metropolitan Opera, The Kennedy Center, and The Pantages Theatre in Hollywood in musical genres ranging from opera to musical theatre to standards. 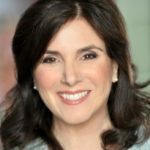 Additionally, she has headlined concerts nationally, in NYC at the Grand Ballroom of the NY Hilton and in various festivals throughout Manhattan including "Yiddish Divas in the Parks" with Claire Barry and Tovah Feldshuh. Shira's versatile career in the performing arts gives her an ability to offer expert guidance in many aspects of the business. Off-Broadway, regionally in opera and on national tour in roles running the gamut from leading ladies, to boys, to villains, her parts include: Actors Studio The Reckonings, Amalia in She Loves Me, Louisa in The Fantastics, Fiona in Brigadoon and Carrie in Carousel. Dan's Papers of the Hamptons says of her role in The Telephone "Exquisitely sung and acted ... charming and vivacious .” Other operatic roles performed include, Norina in Don Pasquale, Gretel in H&G, Adele in Die Fledermaus, Mabel in Pirates of Penzance. She has played roles in films with Gene Hackman, Sarah Jessica Parker and Patrick Wilson. Shira studied acting privately with Anna Deavere Smith and in the STC at ACT in San Francisco. She completed the two year studio program with Bill Esper and Lloyd Williamson in NYC. Shira accepts students on all levels and works very well with beginners, dancers and actors. She has a private vocal studio in New York City and also teaches internationally on Skype. 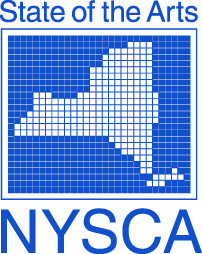 From member Sheree Sano: "I've worked with him and he really knows how to bring out the best in anyone's performance. He's worked with everyone, has excellent credentials and is an absolute pleasure to work with and learn from." (musical performance coach) is a MAC and BackStage Bistro Award-Winning Director. She has created and directed shows at Feinsteins at the Regency, Rainbow and Stars, The Russian Tea Room and Cabaret Comes To Carnegie. In New York, she directed Tovah Feldshuh’s one-woman Off-Broadway show, Tovah Out Of Her Mind, the revival of Babes In Arms at Avery Fisher Hall, the world premiere of Terrence McNally’s Plaisir D’Amour and Ludlow Ladd starring Kristen Chenoweth. At the 92nd Street Y, Sara co-wrote and directed The 1959 Broadway Songbook for their Lyrics and Lyricists series. She staged two Harvard Hasty Pudding Shows, and She Loves Me at Yale featuring Melissa Errico. Other regional productions include Ernest In Love with Jimmy Smits, and Starting Here, Starting Now with Carolee Carmello. She co-founded Paper Mill Prep at NJ’s Tony-winning Paper Mill Playhouse. Sara has taught workshops for Yale, the University of New Hampshire, and Penn State, as well as Master Classes in Los Angeles produced by ASCAP. 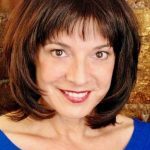 At The Sara Lazarus Studio she teaches popular professional musical audition and performance classes, and over the past 18 years she has developed the musical theatre curriculum at Circle In The Square Theatre School. Her students have appeared in the Broadway and National tours of Charlie and the Chocolate Factory, School Of Rock, Bette Midler’s Hello, Dolly, Once, Book of Mormon, Wicked, TV’s Smash and Glee and many more. 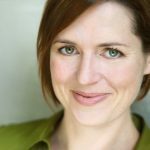 A protégé of the brilliant David Craig, Sara is a member of the Society of Stage Directors and Choreographers, Actors Equity Association, and the League of Professional Theatre Women. is artistic Director of Hudson Theatre Works. Nominated for an Obie award for his performance in Deathwatch which the NY Times called a ‘performance on another plane’. Regionally he worked at the American Repertory Theatre, the Delaware Theatre Company and the Boston Shakespeare Company. TV Credits: “Third Watch”, Sidney Lumet’s “100 Centre Street” and with Frank Sinatra in “First Deadly Sin.” His production of The Late Christopher Bean (Summit Playhouse) received eight 2011 Perry Award nominations. Neil LaBute’s The Shape of Things was selected as a regional finalist in the Kennedy Center’s American College Theatre Festival. He staged the Off-Broadway hit revival of Rod Serling's Requiem For A Heavyweight and the award winning Off-Broadway revival of Sam Shepard's Seduced at the Kraine Theater and received a best director award from the Off-Broadway Review. credits range from Broadway and Off Broadway to National and International Tours. He also works as a composer, arranger, orchestrator, music producer, and vocal coach in New York and abroad. Music Directing Credits include: Swing!, Thoroughly Modern Millie, Reel to Real, Man of La Mancha, My Vaudeville Man, Wanda's World, Flight of the Lawnchair Man, I Got Fired, Crazy for You,Women on the Verge, Frankenstein, Nunsense, Seeing Stars, Rings, Saturday Night Fever and Gemini. Doug was also the keyboard 1 sub on Rocky - work that he enjoys in addition to Music Directing. Doug can also be found in the cabaret world as a Music Director, Arranger and Orchestrator. He has performed at Birdland, The Zipper, The Triad, Joe’s Pub, Feinsteins, Don’t Tell Mama’s, and Rose’s Turn with shows such as: Steppin’ Out, Little Death, Foreign Currency, Top Drawer, Sirens of the Silver Screen, Love Stories, The A**hole in My Head and others. had a long and varied career as both an actress and a singer, easily crossing over from one medium to another. She appeared on Broadway in Blood Brothers in both leading roles, Mrs.Lyons and Mrs. Johnston. She toured with The First National Tour of Les Mis and appeared at The Kennedy Center in On Your Toes. Several off-broadway shows too, most notablyForbidden Broadway. She toured as Gretel in The New American Opera's Hansel and Gretel. Extensive work in regional theaters: Sarah in Guys and Dolls at Seattle Rep, Adrianna in Boys from Syracuse at Goodspeed Opera House and Violet in Ken Ludwig's Sullivan and Gilbert at The Huntington in Boston. Leading roles at Indiana Rep, Buffalo Studio Arena, and Maine State and Papermill Playhouse. Television appearances and many national commercials. Regina switched gears when her children were young to pursue teaching. She found her true passion in the classroom. She teaches, acting, musical theatre, and improvisation all over from Shanghai to Mexico to New York City! Her job is to help performers find their joy in performing. Education: BFA Boston Conservatory(acting, musical theatre). Meisner studies at The Gately-Poole Studio. Arts in Education-graduate studies at Marymount Manhattan College. is the Founder of CTA, which stands for Collaborative Teaching Artists with an emphasis on COLLABORATIVE. We are trying to create a Supportive Community where performers - Beginners to Professionals- have a place to learn their new skills and hone their craft. Katie has been teaching and coaching voices, as well as performing, for over 10 years. Having graduated from the Steinhardt School at New York University with a Bachelors degree in Vocal Performance (Classical Voice), she continued her Master’s degree at the Steinhardt School at NYU in Vocal Performance (Classical Voice) where she studied with Dr. Brian Gill. Katie simultaneously received her Post Masters Advanced Certificate in Vocal Pedagogy. While attending NYU she taught a variety of singers as an Adjunct Professor of Voice ranging from complete beginners to recording artists and professional performers. Her students have gone on to perform in semi-professional and professional choirs, musical theater performances, as well as operas and classical concerts around the city. Additionally, she has also helped many singers in the rehabilitation of their voices. 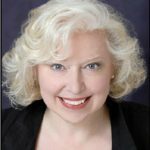 Katie also teaches private voice at Highbridge Voices, a non-profit free after school program for grades 4-12.
is a widely recognized vocal coach, composer and pianist. Brad is familiar with repertoire, vocal technique, 16 bar cuts, pop music, and song presentation. He's helped many actors get call-backs and jobs. He's played auditions for Shrek, Chicago, Mamma Mia and many other shows. In 2009, Brad was voted Favorite Accompanist in the Backstage Reader's Choice Awards. He plays at Actors Connection and TVI. He's played workshops with Eric Woodall. He's also played for agencies like Bauman Redanty, Dulcina Eisen, Bret Adams, and Henderson Hogan. Brad knows the ropes when it comes to delivering an effective audition. 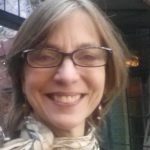 the leading independent acting teacher and coach in New York City, has been training and helping professional actors to do their best work in film, television, and theater for over 20 years. 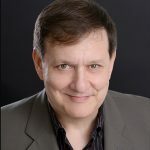 Ken's coaching credits include There's Something About Mary with Matt Dillon and Cameron Diaz, Tim Blake Nelson's The Grey Zone with David Arquette and Steve Buscemi, Cop Land with Sylvester Stallone and Robert DeNiro, Shadrach with Harvey Keitel and Andie MacDowell, Spin City, Crime Spree, and many other films, television shows, commercials, and theater productions. 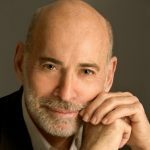 He is trained by Moni Yakim (creator of the movement programs at Juilliard and Yale, author of Creating a Character) in Physical Acting Technique, and featured in the ACT NY Guide to Qualified Acting Coaches. is a New York-based vocal coach and music director. She was a professor of acting at the Yale School of Drama, and has taught for A.C.T., and New York Conservatory of Dramatic Arts. Her clients have included Bette Midler (Hello Dolly), Bryan Tarell Clark (Hamilton), Bryce Pinkham (Tony nominee, How to Get Away with Murder), Adina Verson (Tony Award Winner, Indecent & Collective Rage), Ato Blankson-Wood (Total Bent), Samantha Sidely (Foo Fighters), and Carmen Ruby Floyd (After Midnight & Hello Dolly). 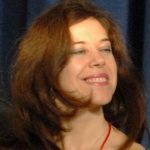 Among her many affiliations as a performer and vocal/music director are The Public Theatre, The Drama League, The Vineyard Theatre, The Old Globe and the Eugene O’Neill Theatre Centre. 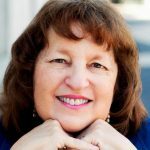 Vicki is a proud member of AEA, AGMA and The ACTORS CENTER. This September Shaghoian will be a guest artist for Westport Playhouse Annual Gala Celebration featuring Kelli O’Hara and Seth Rudetsky. a Registered Rodenburg Teacher! Teaching Patsy Rodenburg's voice, speech and presence work is an absolute joy for Cynthia. Although she has been teaching since 2015, Cynthia is happy to announce her official certification as a Registered Rodenburg Teacher as of July of 2017. She is among ten inaugural teachers selected by Patsy Rodenburg (OBE) for her Master Teachers Certification Program. You may ask "what is this work?" This work, formally known as "Embodiment", is not descriptive, it is experiential. By releasing excess tensions from the body, opening the breath, freeing the voice, and finally connecting the free, open voice to language we have a chance to meet text, and life with full presence. But, do not take my word for it. Try a session and see for yourself... We work on Shakespearean as well as Contemporary text. Non-Actors will begin with given text and then move onto whatever will best serve their needs. Cynthia is available for classes, workshops, private or semi-private lessons. She also works with actors on set, or in rehearsal process via director/producer request. For inquiries to working with Cynthia, please click here. is a musical director, Broadway accompanist and vocal coach. He has musical directed/conducted productions for New York Musical Theater Festival, Midtown International Theater Festival, the Irish Repertory Theater and the York Theater. 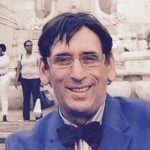 He has served as musical director for over twenty stage productions in regional venues along the East Coast, including Orchard Beach (ME), Hampton Playhouse (NH), Capital Repertory (NY), John Engelman Theater (NY), and the Spoleto Festival (Charleston, SC). brings to his teaching a varied and interesting background in the theatre. He spent 13 years as a successful New York talent agent, has extensive experience as a casting director, producer, director, and as an actor. He currently directs his dramatic improv company in compelling theatrical events rich in elements of drama and social significance.